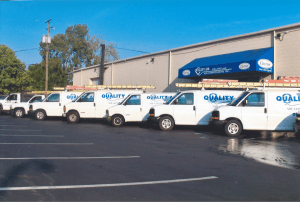 Just like any HVAC system, the heat pump in your Columbus home needs routine maintenance and yearly check-ups to operate as efficiently and safely as possible. You also don’t want your heat pump to wear down to the point of a major malfunction or breakdown, which can be costly to repair or may require a complete system replacement. Here are some things that could go wrong and cost you a lot more in the end if you don’t keep up with the regular maintenance of your heat pump. The compressor in a split-system heat pump works whether you are heating or cooling your home. In the winter, the compressor reverses the flow of the refrigerant to defrost the outdoor coils, and in the summer it supplies the refrigerant to cool the home, as well as cooling the outdoor coils. Proper airflow is vital to keeping the compressor running smoothly. Filters that are not changed regularly, dirty coils, and dirty fans can all restrict airflow, which will damage the compressor. Debris around the outside components should also be cleared to allow proper airflow. When dirty or broken components restrict the airflow, this damages the compressor and decreases your Columbus heat pump’s efficiency levels. Not only is it important to clean your heat pump regularly, but you should also have it checked by a certified Columbus heating technician once a year. This will also prevent safety hazards and other hidden issues with the heat pump. Most heat pumps are charged with refrigerant at the factory; however, if models that are charged when they are installed are not given the right amount of refrigerant this can also affect performance levels. Refrigerant leaks and other common problems can be prevented by scheduling an annual maintenance visit with one of our qualified technicians. Don’t wait until the heat pump in your home stops working, call Quality Air Heating and Air Conditioning to schedule your yearly check-up.